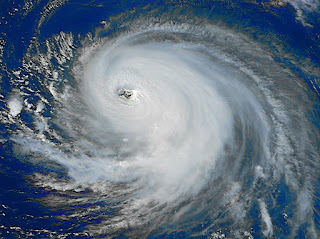 RussJones.Us: Hurricanes, Hot Weather and Snotty Nosed Cats, Oh My! Hurricanes, Hot Weather and Snotty Nosed Cats, Oh My! I am not even going to try to understand what the people in Texas feel like. Harvey didn't just hit them. He stuck around and beat them up again. If you want to give something that will make a difference, go to FFWC.US and give online. Give under the fund heading, HARVEY RELIEF. If you don't like giving online, please call us at the church. You can give via debit or credit card too. All funds will be sent to Convoy of Hope. They are the premier disaster relief agency in the U.S. and are already meeting needs in the hardest hit areas of Texas. Every little bit helps. It's hot in South Florida. The thermometer in the car said 99 degrees today. I don't think it goes any higher. Air conditioning is almost worthless. The old timers around here have told me that when it is hot, it keeps the hurricanes away. Let's pray they are right! My cat has been sneezing for weeks. We took Latte to the vet and found a broken tooth. That tooth apparently became infected and has broken through into his sinuses. Miserable kitty. Anneka went down with some kind of snot nosed, drain you of all of your strength, upset your stomach and give you a foul attitude bug. Today she is ok. Went to the shooting range today. Couldn't hit the broad side of a barn. Usually, I am an excellent shot. I could focus on all of this and say, "I am having terrible, horrible, awful, very bad, no good day." But this is what I wrote in my gratitude journal this morning. "I am grateful to be with friends today." Your attitude is your choice. Don't let the words of others destroy your day. Let your words make theirs.